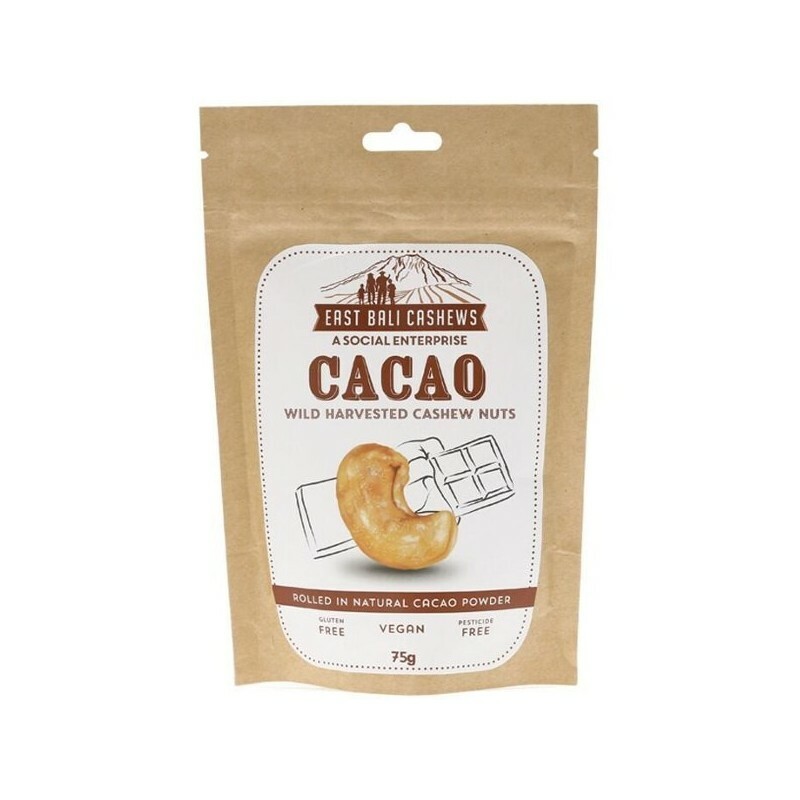 Handpicked cashews harvested, roasted and packaged in East Bali, Indonesia. Small socially conscious company empowering the local community through farming and education initiatives. Preservative and pesticide free. No artificial colours or flavours. Gluten Free. Vegan. Deliciouslly rolled in Cacao powder. 65g. Free from preservatives, pesticides, artificial colours and flavours. 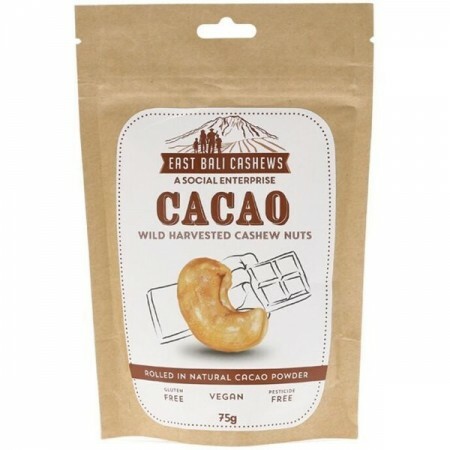 Delicously roasted and then rolled in dark cacao powder for a sweet and savoury taste sensation.